KAMPALA – Kiddu Makubuya, the former Attorney General has been nominated to head the Constitutional Review Commission whose role will be to oversee an overhaul of the staled Ugandan Constitution among others. Makubuya, according to a nomination list signed by Justice and Constitutional Affairs Minister Gen Kahinda Otafiire, will be deputized by Ambassador Francis Butagira, a seasoned diplomat. Others tapped include Constitutional lawyer, Wandera Ogallo, former National Female Youth MP, Nusura Tiperu, city lawyer Paul Wanyoto Mugoya, Lillian Aber, the Chairperson National Youth Council, and Dr Diana Musoke, a law lecturer at Law Development Centre. Also on the list are Ambassador Richard Laus Angualia, Reverend Amos Turyahabwe, Martha Katuntu, Kaboggozza Musoke, Sarah Matekye Nyarabatsisi, Charles Elem Ogwal, and Kamadi Byonanebye. The nominees were first recommended to President Yoweri Museveni in a letter dated May 23, 2018. However, after months of inaction, Otafiire wrote another letter, reminding the president about the need to approve the nominees. He noted that there was an urgent need to commence the Constitutional Review process in order to address issues at hand. “Government is committed to establishing a constitutional Review Commission to handle the proposals that were not included in the Constitutional Amendment Act 2015,” partly reads Otafiire’s letter. 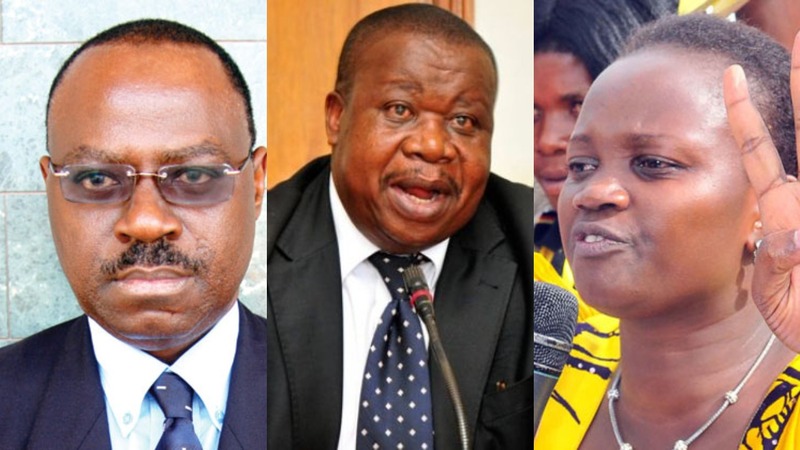 Otafiire in a letter told Mr Museveni that the nomination considered regional representation, from the five regions of Buganda, Central, Eastern, Northern, and Western. It also considered educational background, qualifications, diverse experience and expertise.